Magical, indeed. 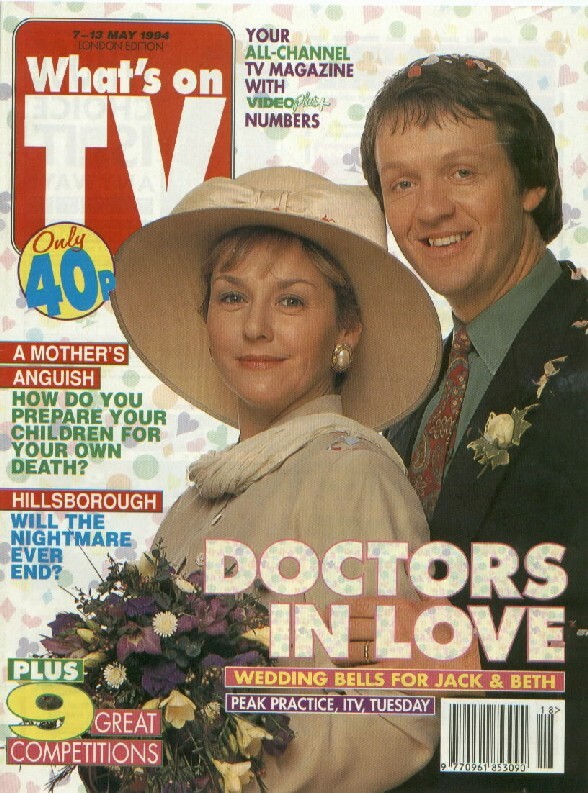 But the omens hadn't always looked so good for Peak Practice's warring lovers, doctors Beth Glover (played by Amanda) and her partner, Jack Kerruish (played by Kevin Whately), as their behaviour towards each other veered from frosty to furious. Yet here they are in this week's episode, proceeding serenely up the aisle of Cardale Church in front of guests who include partner Dr Will Preston (Simon Shepherd) and friends Isabel (Sylvia Syms) and Ken (Frank Windsor).